If “the blacks” concentrated on family, hard work and education, they could eliminate income disparities. America doesn’t have a race problem; we have a class problem. The New York Times reports that a new study by Harvard and Stanford economists disproves those arguments. 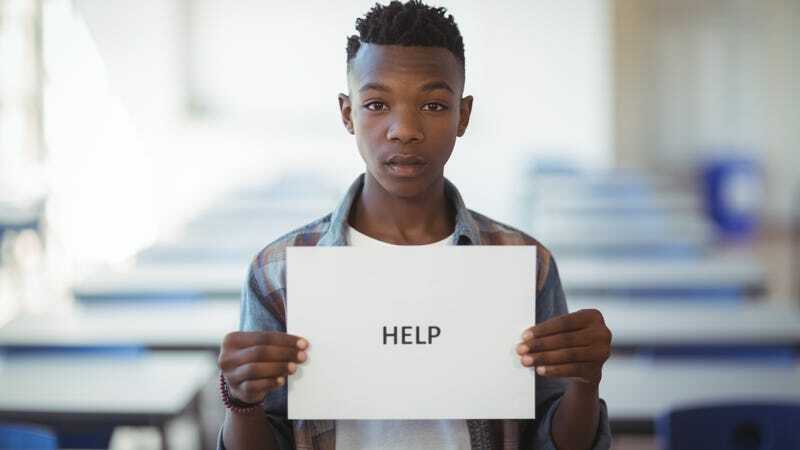 Research from the Equality of Opportunity Project (pdf) shows that black boys raised in good neighborhoods by wealthy, two-parent families still don’t have the economic potential of low-income white boys. For black boys in America, upward mobility has nothing to do with education, class or work ethic. They will likely earn less money than white kids who grew up in worse neighborhoods. They will probably earn less than white boys from poorer families. They will be locked out from every access point to the American dream, and the data proves it. Using demographics and income numbers from virtually all Americans in their 30s, the study cited in the Times takes data from the U.S. Census Bureau and “de-identified longitudinal data covering nearly the entire U.S. population from 1989-2015” to reach conclusions that dispel three myths about upward mobility in America. Myth No. 1: It’s not racism. It’s a class issue. It is true that Asians, Hispanics and white children all achieve upward mobility as defined by income. Black children ... not so much. For instance, black children born in the bottom fifth of income earners have about a 2.5 percent chance of reaching the top fifth of the income bracket. White children, by contrast, have a 10.6 percent chance. Even black children who grow up in high-income households fare no better. African Americans with parents in the top money-making category are as likely to fall to the bottom as they are to remain on top. White children whose parents are in the top quintile, however, are five times more likely to stay on top as they are to fall to the bottom. Black males are still more likely to be incarcerated across every economic stratum. According to the demographic data, black men raised by millionaires are as likely to be incarcerated as white men raised by families earning $36,000 per year. Myth No. 2: Black people need to concentrate on family, education and work ethic. Some hypothesize that the disparity in standardized test scores may explain the income gap. But the study shows that black men don’t have access to upward mobility even when factors such as marriage rates, educational attainment and parents’ income are figured in. The research shows that the income gap exists mainly because of the low incomes of black males. For example, there is little difference in standardized test results between black men and black women, but black men still have a substantially higher income gap than black women. Yet in comparisons of children who grow up in two-parent homes, black men fare worse economically. When the study looks at the wealth of parents, black men still do worse. In fact, the only indicator in which black men seem to outpace their white counterparts is incarceration rates. Myth No. 3: It’s probably because they grew up in the ghetto. Of course, poor neighborhoods don’t have as many “resources” as wealthier neighborhoods, which might lead to income disparities. The research shows that black males whose parents have the same income and grew up in the same neighborhoods as white families still suffer from higher incarceration rates and wage inequality—even if they grew up on the same block. According to the study, white boys who grew up in the worst areas for economic mobility do better than black boys who grew up in some of the best neighborhoods. In fact, for 99 percent of the neighborhoods in the U.S., black males earn less as adults than white men who grew up in comparable neighborhoods with comparable families. The study notes that black boys seem to benefit from moving to better neighborhoods, although not as much as white boys. But what about black girls? The New York Times piece doesn’t specifically address the data on black girls, but the full study does. It is important to note, however, that this finding does not imply that the black-white gap in women’s individual incomes will vanish with time. This is because black women continue to have substantially lower levels of household income than white women, both because they are less likely to be married and because black men earn less than white men (Online Appendix Figure IV). As a result, black girls grow up in lower-income households than white girls in each generation, creating a persistent racial disparity in individual income for women even in the absence of an intergenerational gap in their individual incomes. ... We therefore focus on understanding the determinants of intergenerational gaps between black and white men in the rest of the paper. The results of the study highlight the fact that America cannot address economic inequality and the wage gap without discussing race. While it is impossible to quantify success, income disparity is key in understanding the disparities embedded in American society. While black America has pointed out these disparities for a long time, this study shows that even when black children begin at the same starting point as their white counterparts, they don’t have equal access to the rungs on the ladder leading to the American dream.